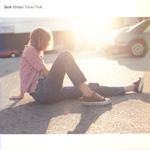 Beth Orton from Britain is at 26 years old the female vocalist sensation of, not the year, but the decade. Her haunting and melodic voice will capture your heart, and you will be hooked like I am, I promise! Her new album is Trailer Park-- a beautiful musical poetry collection on the heels of her collaboration with Chemical Brothers.